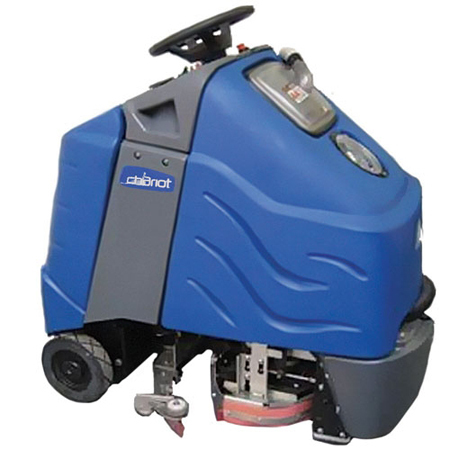 The WINDSOR CHARIOT ISCRUB SERIES 1 is a battery powered auto scrubber. This unit has unparalleled visibility allowing safe operation in congested areas and small spaces. The low sound is ideal for all buildings. The WINDSOR CHARIOT ISCRUB SERIES features an intuitive function control system with preset cleaning settings that simplifies training and provides more consistent cleaning results.